When it comes to our winter skin aesthetic, we're much more fond of the adjective pairing "smooth and supple" versus "dry and chapped." What also tickles our fancy? A hydrating elixir that won't simultaneously corrupt our bank account—and thankfully our local drugstore aisles have plenty to offer in that department. To help narrow down your search (and because we have a penchant for all things hydrating and glow-boosting here at Byrdie), we elected our top 10 picks for a curated roundup of the best drugstore body lotions your dehydrated skin has been waiting for. (Now all you have to do is choose a winner.) Keep scrolling four the best drugstore body lotions according to Byrdie editors. 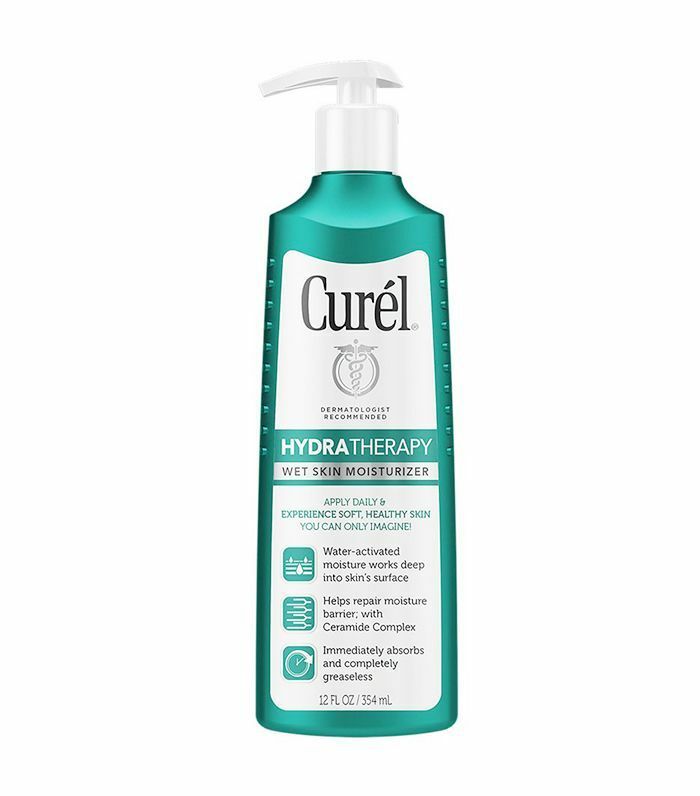 A brand-new obsession, Curél's Hydra Therapy Wet Skin Moisturizer ($11) is specifically formulated for that fresh-out-out-of-shower skin. No, really—it's activated by those pretty pearls of water that sit atop your skin post-rinse and proceeds to deeply nourish every previously parched inched. 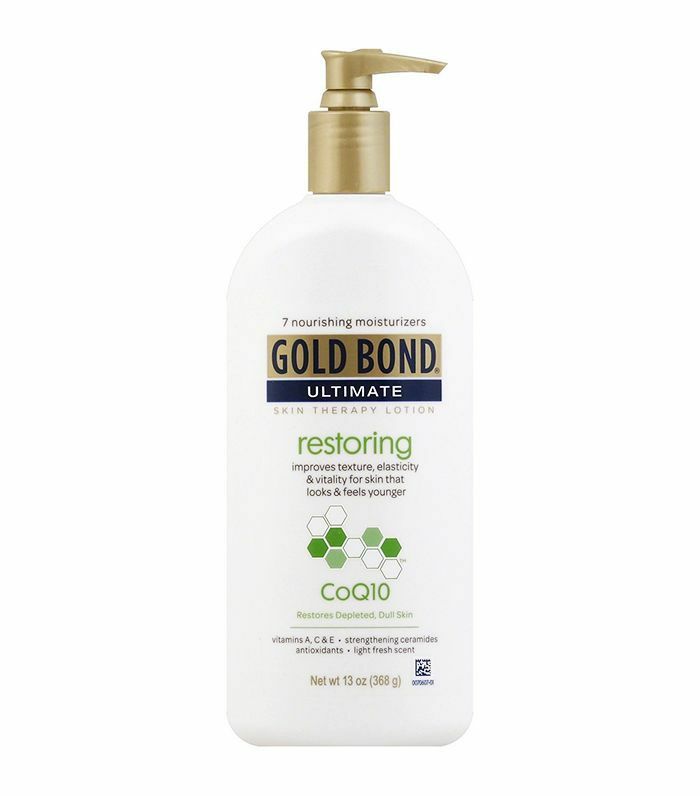 Equipped with skin-improving ingredients like CoQ10, ceramides, and seven different moisturizers, Gold Bond's Ultimate Restoring Lotion ($9) instantly elevates the appearance and feel of scaly, lackluster skin. CeraVe is an editor-favorite when it comes to an affordable drugstore buy that feels, well, anything but affordable (aka the formula is super-luxe). 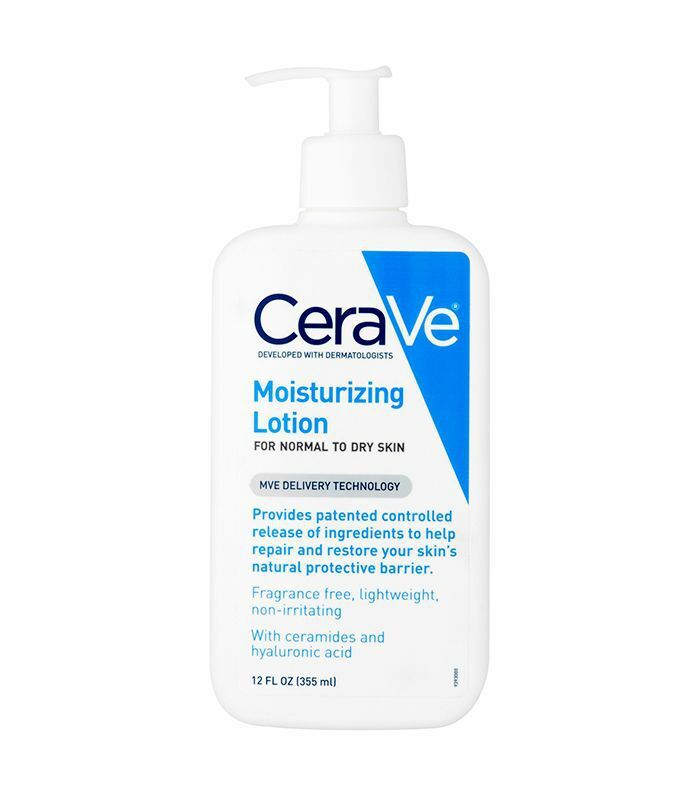 The brand's Moisturizing Lotion ($9) is no exception, gifting dehydrated skin with lightweight, non-greasy, and noncomedogenic moisture. A classic through and through, there's no better cream for combatting the doldrums of winter and the flaky, itchy limbs that come à la carte. 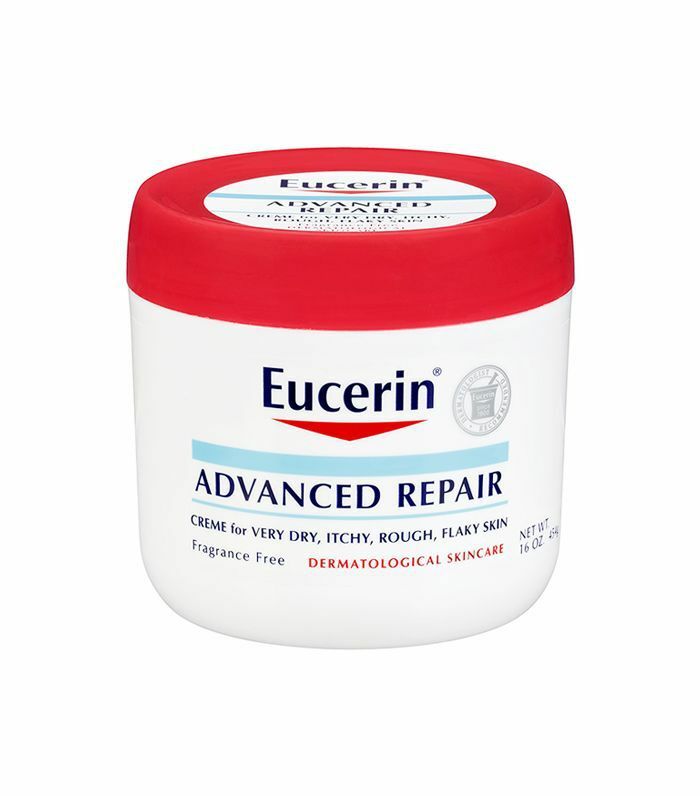 A true triple threat, Eucerin's Advanced Repair Crème ($12) rejuvenates, exfoliates, and repairs the skin barrier. 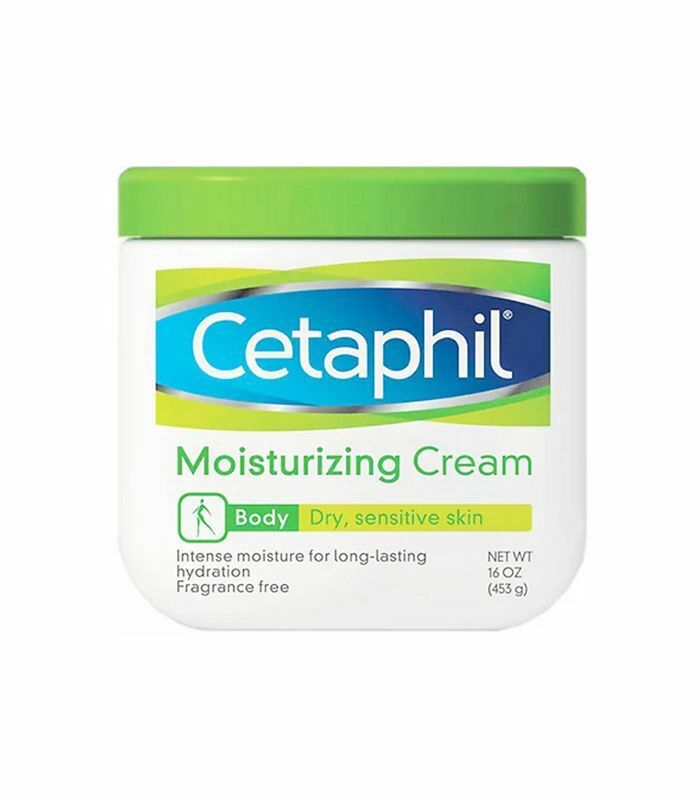 If you're one of the lucky ones with both dry and sensitive skin (don't worry, you're not alone), Cetaphil's Moisturizing Cream ($11) will be one of the best drugstore body lotions for your skin needs this season. Recommended by dermatologists, the signature formula not only locks in hydration but prevents water-loss from going out. The result: smooth, glowy goodness. 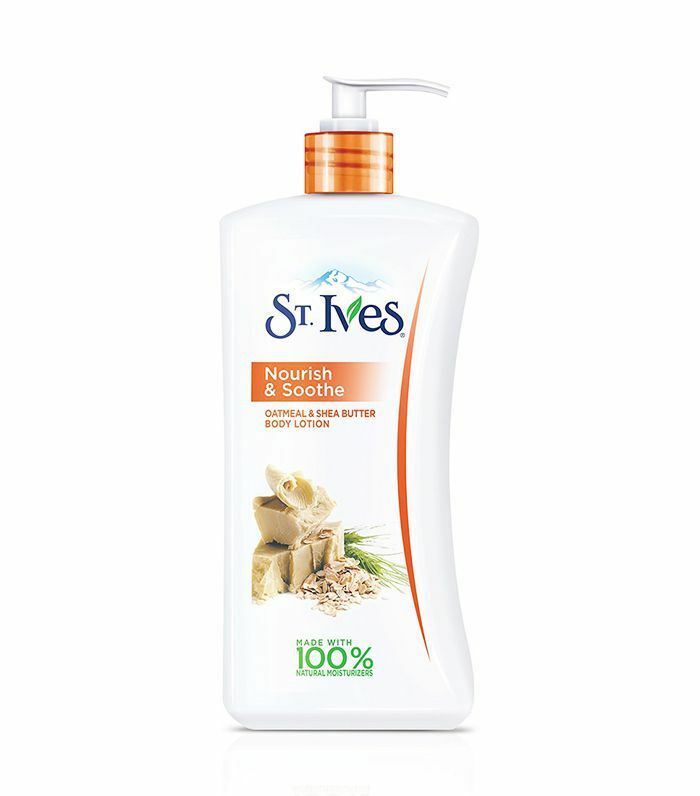 Fortified with hydration-improving ingredients like oatmeal extract (for nourishment), shea butter (for luscious-smelling hydration), and 100% natural soybean oil (for maximum absorbency), St. Ives Nourish and Soothe Oatmeal and Shea Butter Body Lotion ($5) is one of the best drugstore body lotions money can buy—nothing short of a steal. 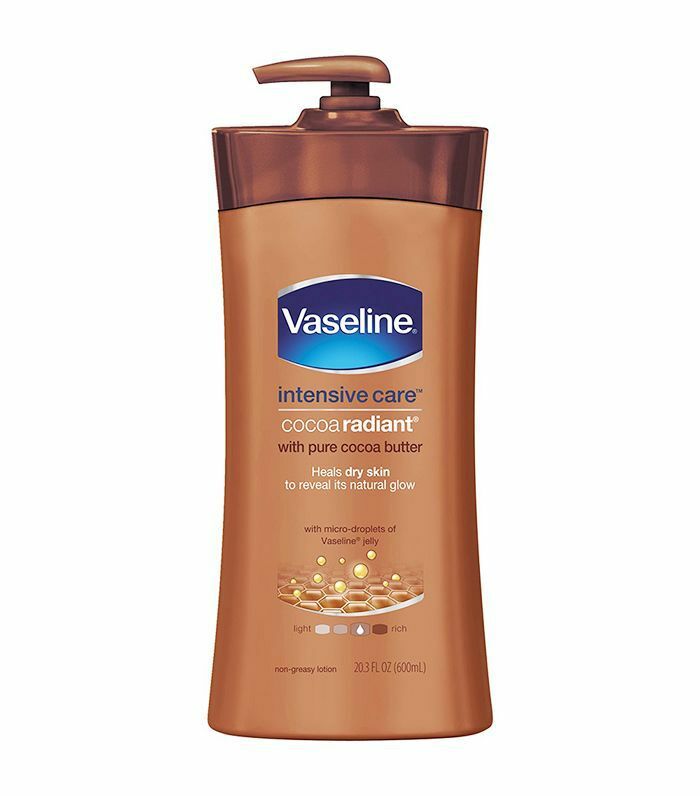 Byrdie editors agree: Vaseline's Intensive Care Cocoa Radiant Lotion ($6) was a middle school must-have, and we're admittedly still fond of the affordable, ultra-healing formula. Thanks to ingredients like cocoa butter, shea butter, and micro-droplets of the brand's signature petroleum jelly, skin becomes instantly drenched with lasting hydration. 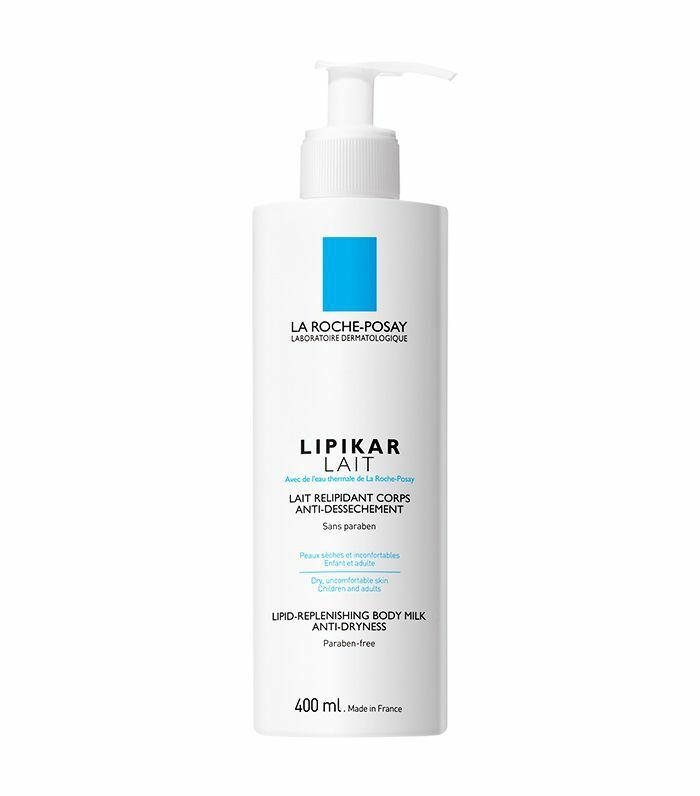 One of the best drugstore body lotions for dry, ultra-sensitive skin, La Roche-Posay's Lipikar Body Milk ($32) features a lipid-renewing formula chock-full of glow-getting ingredients like vitamin E, shea butter, and dimethicone for a calm, cool, and collected skin barrier. 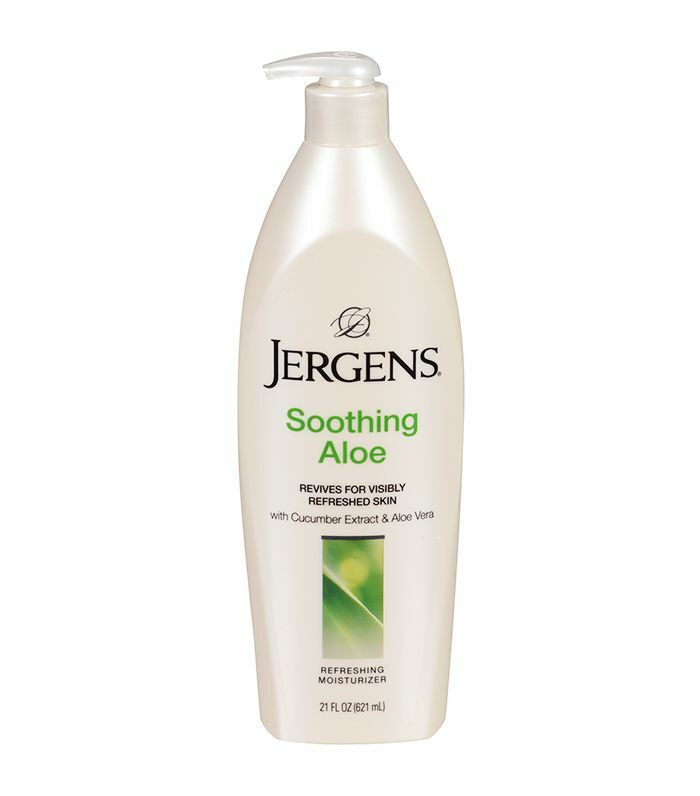 Jergens will always have a special place in our heart, and the brand's Soothing Aloe Refreshing Moisturizer Lotion ($5) might just be our favorite iteration. 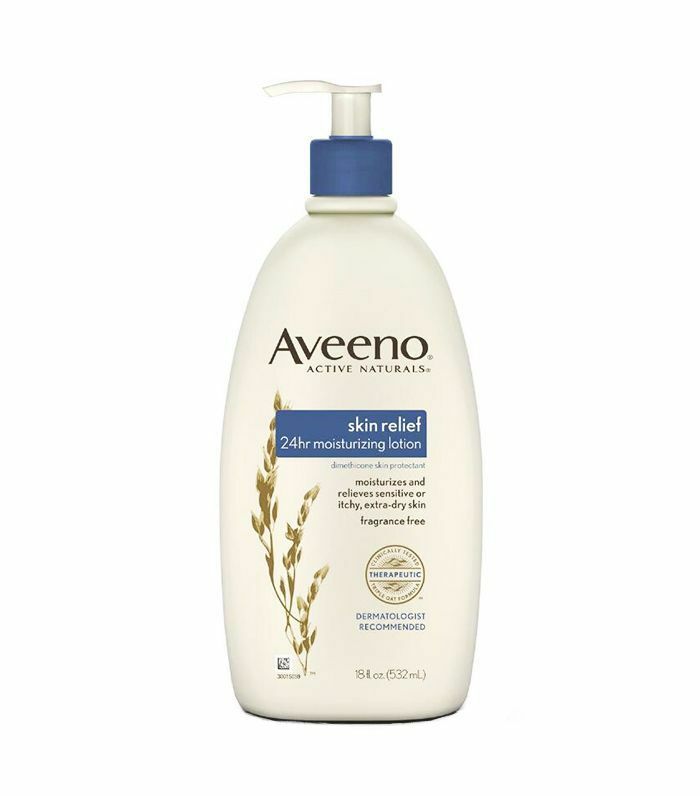 Thanks to calming ingredients aloe vera and cucumber, this drugstore body lotion deftly combats dryness and dullness with unparalleled prowess.